The extreme cold weather we are experiencing at this time can cause a lot of damage to your engine in your boat if it is not protected from the cold. Some residents use engine heaters, others drain the water from the engine and some just store the boat in a warm garage. Whatever is your preference, the important thing is that you do protect your engine. One of the most important steps in extending the trouble-free life of your Mercruiser engine is to be sure that it has been properly serviced and prepared for cold weather during the winter. Water left in the engine can cause major damage to the engine block and the manifold system. The importance of a service manual cannot be overstated. The Mercruiser’s manual has a very good and detailed section on winterization procedures. We strongly recommend that your MerCruiser is winterized by an authorized MerCruiser dealer. Damage caused by freezing or improper winterization is NOT covered by the limited factory warranty. 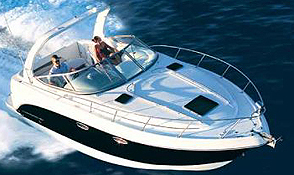 If you need help with your boat, call LAKE CONROE MARINE AT 936-890-0676 OR CLICK HERE AND VISIT OUR WEBSITE.